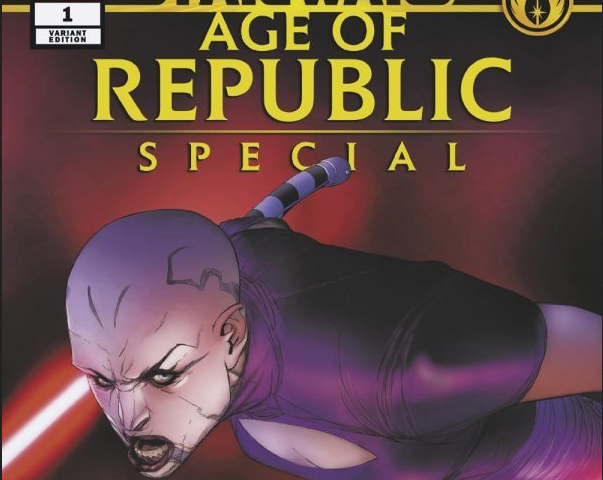 Three stories for $5 as Marvel’s Star Wars: Age of Republic — Special debuts, offering up new insights to characters from Mace WIndu, Asajj Ventress and, yes Captain Rex and Jar Jar Binks, too. There’s also news to discuss, including the new TIE Fighter and Star Wars: Galaxy’s Edge five-issue mini series that start in April, as well as the 2018 and December sales rankings, too. Like what you hear? Go to iTunes and leave us a rating and review. Subscribe to all of the Coffee With Kenobi network podcasts, including Lattes With Leia, Legends Library, Looking for Lucasfilm, Coffee With Kenobi, Resistance Reactions and Rebels Reactions.